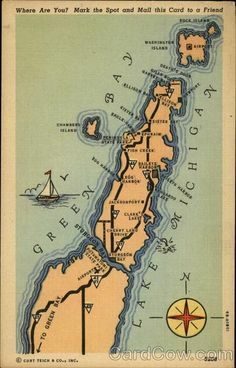 Door County is a peninsula surrounded by water. Glorious sunrises over Lake Michigan and colorful sunsets over the Green Bay on the west. Each village is unique and offers different attractions and views. From golf courses, scenic parks, art galleries & events, performing arts & theaters, coffee shops, ice cream shops, mini golf, go karting, beaches, boating, para-sailing, kayaking and even concerts in the parks! Lighthouses and sightseeing Trolley tours. Wide selection of restaurants throughout the county with wine tasting at the wineries. There is a special flair and culture like none other. Lundquist Realty & Vacation Rentals, Inc. does not take on-line reservations. We do post a calendar under each property on the website for availability. These homes are entrusted to us by the owners and we want to give you that personal assistance. We want to speak or email with you to understand and help find you that right property for your family vacation! Thus we book with a personal touch and not on line. Each property is unique and we want to help you walk thru mentally so you know what you are renting! We Prefer weekly rentals during the prime 9 weeks, mid June to Mid August, and will do 3 night on the shoulder season excluding holidays and festivals.  Lundquist Realty & Vacation Rentals, Inc. currently manages the property reservations and cleaning services for each rental property. Most of the rental properties keep your costs down by having the renter supply their own sheet sets and towels/kitchen/beach. Washer & dryers are offered in “most” of the rentals so one only needs to bring minimal towels. For an additional fee ($75-$150) you may rent linens when necessary. Why a no pet and no smoking policy at most Door County Rental Properties? To provide as allergy-free of an environment as possible for future renters. What happens to my Damage Deposit? Security deposits will be destroyed within one week of checkout if cleaning service inspection shows the property to be left in good condition. Please also let us know if damage happens, You may call with any problems and appreciate renters using care. We also now have a “Remove Soiled SHOES” policy in all properties due to increase in dirt and soil being tracked in and renters paying for carpet cleanings! Am I responsible for cleaning our Rental prior to check out? Upon your 10AM check-out, please, be sure all of the items below have been addressed. These are privately owned homes, deserving of your tender, loving, care. We hope you have enjoyed your stay. If you have any feedback or concerns, please contact us at (920)854-2368 and if you enjoyed your stay please leave a REVIEW!  If your rental has a Holding tank light, be sure to check this light daily and contact Lundquist Realty if it goes on.  Be sure to put Trash & Recycling in appropriate outside containers or follow specified instructions.  Please leave enough time to be sure that the Dishes are done and put away.  If you have rented (at an extra fee with Lundquist Realty) any sheets, towels, or have soiled items, please start the first load of laundry (2nd if able). Return finished items to property containers. Again, leave a note for the cleaners.  If you are staying in a pet property: please, vacuum/clean up any access pet hair. Pick up droppings and place it in outside trash receptacle. office or the Metal Drop Box on the Porch.  In the event that there has been something spilled or stained, be sure to notify us immediately. We can guide you in finding a proper solution. replace or have repaired such items as soon as possible.  Please be sure all faucets and all lights are off, the refrigerator is at recommended temperature, and A/C thermostat set at 75 in the summer and Heat left at 55 in the winter.  Remember that check-out is 10am. Please return key.  Remember to book your reservation for next year!!! What are Renters additional responsibilities? Follow Garbage recycling and disposal instructions. Properties with holding tanks will require renters to monitor “tank full light” daily and to notify Lundquist Realty at (920) 854-2368 if light turns on. Supplies to bring: A few kitchen garbage bags, small supply of dishwasher & dish soap, coffee filters, your own special spices, extra toilet paper, and own toiletries. Sheets and towels unless you have arranged to rent them. How is a rental payment made? Personal check, money order, cash is accepted. Because we do not want to pass on the 4% fee and because all payments are handled within a trust account, we do not accept credit cards. A 50% deposit is required at the time reservation is made with the balance paid 2 weeks prior to rental date. All stays under 31 days have an added 11% tax. An additional check for $200-$750 is collected also for the damage deposit which will be destroyed once we get the cleaners reports. Can I have "guests" stay with us? Each property has a “maximum guest” limit so we appreciate that you do not exceed this. We don’t want extra wear and tear on our homes and appreciate your help with this! Rest assure that the power WILL return. Lundquist Realty alerts Wisconsin Public Service of an outage and they are quick to restore service. An occasional storm might cause a temporary outage so try to enjoy the adventure. How soon can I place my reservation for next year’s rental? We usually know our owner’s occupied dates by the beginning of January. Properties not occupied by owners, can be reserved a year in advance. Current renters have the first opportunity to re-book their current rental week(s) for next year before the conclusion of their current stay. We are happy to add you to our waiting list also!